I was a bit unmoved by this when I was first using it. It had a lot of things that were good about it but it didn't set my world on fire. That is until 90% of my skincare products started to set my face fire post the birth of my second baby. Then all my trusted products turned me to a burning tomato. I'm hoping this is temporary but until then how was I supposed to clean my face? Well I went to go old Clarins - the saviour of many an allergic reaction or sensitive bout. £25 later and I was burning again. Not as bad but still definitely burning. Then I realised - there was one cleanser that wasn't having this disastrous affect on my skin and that was The Ultimelt from Soap & Glory. I used it again. No burning. No redness. No despair. So why didn't I originally rave about this? This is going to be one of those weird cross-over posts that works on both blogs (if you didn't know I have another blog here) so that's where it's going... on both blogs. I was very kindly sent some gorgeous Professor Scrubbington products to try out. They arrived just before Jim and therefore sat, neglected on the side in my kitchen in their gorgeous suitcase packaging until finally I actually listened when Ned said he wanted to take it downstairs (where his bedroom and bathroom are) and they made their way to the bathroom. We've been using them (for Ned, not Jim, he's too little) ever since and I LOVE them. Like many parents I am a slave to Johnson's Bedtime Bath because we will do anything that implies it may help our child sleep. Jim is too tiny to be having actual bubbles in his bath but I use the Johnson's Bedtime Body Wash but Ned, well Ned is a good sleeper (so far) and not that keen on bubbles or having his hair washed, so he was good and ready to try something new. Professor Scrubbington's Emporioum of Clean is aimed at 'young people who want to take charge of their own ablutions', from the age of 3 up. To that end they are completely child-user-friendly, foams that don't slip off the hand, containers that are squeezable with one hand and the packaging and design is very cool. I also really love the smell, much more 'grown-up' than I was expecting and have been really impressed with the products I've tried. Ned is too, he really likes that they aren't for babies (he's quite superior now he's a big brother) the design and the name. One thing I would say is that initially it's quite hard to work out how to open them but once you do it's actually very clever and will stop the entire product being squirted out by little hands while your back is turned. Scrubbington's Magically Foaming Face and Handwash - £5 for 150ml we have this in the bathroom next to the kitchen for post-loo handwashing and when we need a good sleuce down after supper. Ned really loves that he can pump the soap out himself and stops the shouting about me scrubbing pesto off his face - he can do it himself. Scrubbington's Magically Foaming Hair and Body Wash - £5 for 150ml. Great for super-quick baths or as an all-in-one to have in the wash bag. Scrubbington's Magically Foaming Shampoo - £5 for 150ml. If you child is a fan of bubbles in their bath then this is a great shampoo to use instead of the hair and body wash above. Smells great and leaves the hair clean and shiny. This has to be one of the most talked about lip products in the last five years, and with good reason. 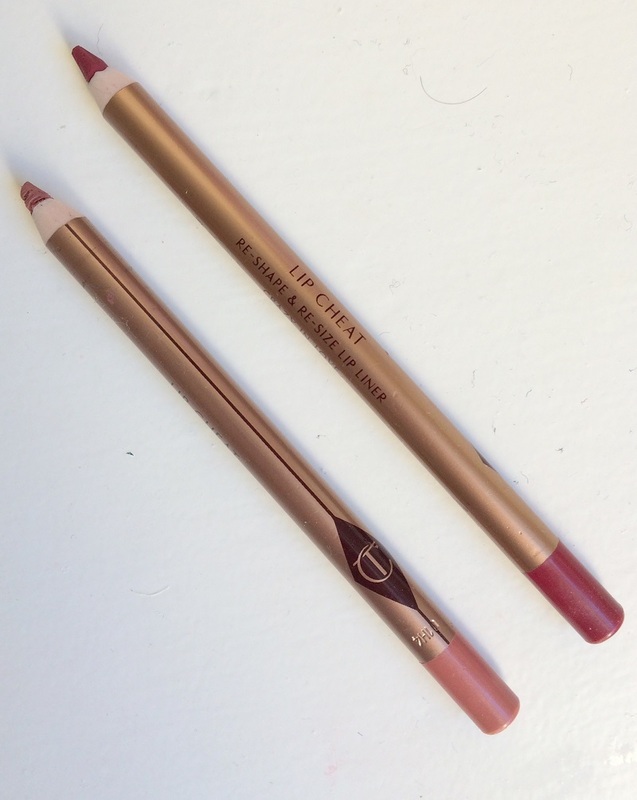 It is quite possible that once you've used a Charlotte Tilbury Lip Cheat pencil you'll never go back. If you like a hard, defined line around your lips then this is probably not for you but if you like something more subtle, need to expand or reshape your lips or if you have a spectacular pout already that just needs light definition then this could be the pencil for you. 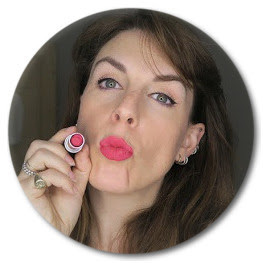 I love it and I'm not alone - the Charlotte Tilbury Lip Cheat in Pillow Talk is one of her bestselling products. Pillow Talk is the first Lip Cheat I owned, Santa delivered it in my stocking last year and it's pretty much been the only liner I've used since. That is until I bought Crazy in Love a couple of months ago. When pregnant I usually steer clear from bright lipsticks as they attract the gaze to my bloated puffy face - Crazy in Love, however, blends beautifully with Lost Cherry Matte Revolution lipstick which, for me, is the perfect summer pinky, red and the one 'colour' I wore while pregnant and this Lip Cheat would look lovely on darker skin tones worn all over the lip.